Entrepreneur's 33rd Annual Franchise 500® is a story of staying the course. Hampton Hotels, last year's surprise No. 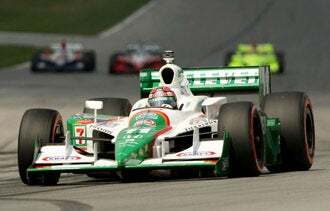 1, held that spot, leading many companies that have long dominated our rankings. In fact, even though Hampton has been franchising since 1984, it's the youngest franchisor in the top 10. These are companies that embody the appeal franchising holds for so many, in good times and bad: the strength that comes not just in numbers, but in experience. 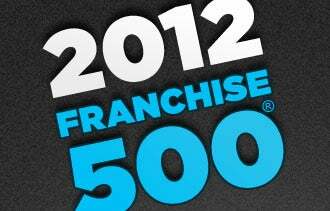 Speaking of numbers, the companies in our top 500 added 13,725 franchise units between 2010 and 2011. That's a 16 percent improvement from the previous year's growth--a positive sign that things are looking up for franchisors and franchisees alike. And while older franchisors are leading the way, new concepts are making their mark on the franchise world as well--and encouraging those more experienced companies to keep innovating. Here's a look at three of the most popular industries in this year's Franchise 500® and the trends that are shaping their future. Fast-food, fast-casual, quick-service. Whatever you choose to call them, these alternatives to full-service restaurants continue to gain popularity among customers and entrepreneurs. The category makes up more than 20 percent of the Franchise 500® and includes some of the longest-running franchises on the list--such as the oldest, A&W Restaurants, which has been franchising since 1925. But it's also full of fast-growing innovators. Hamburgers have earned a special place among this field. The number of ranked burger companies is double what it was last year. And though established giants like McDonald's dominate the top of the list, younger companies like Smashburger are to thank for beefing up the category and challenging the stalwarts to step up their games with more gourmet offerings. The frozen yogurt category, meanwhile, has been on a bit of a roller coaster the last few years. The sudden resurgence in the treat's popularity flooded the market with inexperienced new franchise companies--many of which didn't last. But the companies that survived the hype seem to be stronger for it. In fact, five fro-yo companies are among the 100 fastest-growing franchises on our list. Although some personal-care services, such as tanning salons and cosmetics, have fallen out of vogue, the category overall is healthier than ever. Encompassing everything from hair care to hair removal, personal-care franchises make up almost 10 percent of this year's rankings. Fitness franchises offering convenience and low cost (to both customers and franchisees) continue to demonstrate impressive growth. But there's a new factor emerging in this arena: fun. Newer franchisors are challenging the exercise-bike and circuit-training status quo with options such as kickboxing and martial arts. The trend toward recreation-based fitness is even more evident in our children's fitness category, where Soccer Shots leaped into the No. 1 spot. Another personal-care category, in-home senior care, hardly existed just 15 years ago, but now it's hard to imagine the franchise world--and the world at large, for that matter--without it. In fact, it's the biggest single category in this year's Franchise 500®, with more than 34 companies represented--and 24 of those making the ranking. In spite of all that competition, new senior-care franchisors continue to spring up every year. And with the first baby boomers turning 65 in 2011, the demand is only going to grow. Retail is one of the industries hit hardest by the recession, but franchised retailers have held up well overall, and many have even seen impressive growth in spite of the tough times--especially those that offer cash-strapped customers a good deal. Thrifty shopping has come to be considered not just smart, but trendy as well. A number of resale franchisors have ridden that trend to new heights in our rankings, particularly in apparel and accessories, where teen and young adult store Plato's Closet climbed into our top 100 for the first time. Resale and consignment concepts also dominate children's retail, and you'll even find franchised stores that buy and sell used electronics, sporting goods and musical instruments.